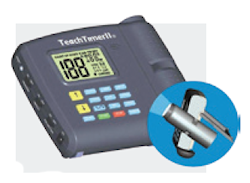 Hands down, the biggest, most powerful timer for teachers available! Measures in at a super-sized 6.5 x 9.5 inches. Includes all the standard timer features you would expect, plus many more. Displays Time and Date when not in use. TimerTools - 13 essential tools in one! Whether you are presenting to a small class or a huge audience, TimerTools is the perfect solution for every type of presentation: hourglass, analog clock, digital clock, alarm clock, multiple customizable alarms, seconds countdown timer, turn timer, interval timer, digital stopwatch, analog stopwatch, and split timer. 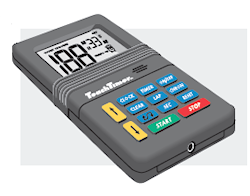 Excitement will mount as your class or workshop participants race against the TimerTools stopwatch, attempting to break their prior record for a challenging task. Ideal for a computer presentation or to turn your computer into a suite of powerful timing tools with attractive, scalable, customizable timers that are super easy to use. Price.....$249.00 - Save $41 !! 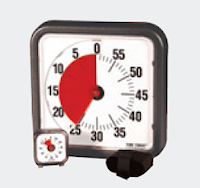 From quiz bowl tournaments to sporting events, the ZeeCraft Multi Use Timer has all the features you’ll need. 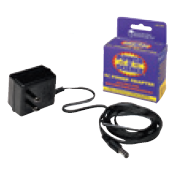 It’s easy to use, durable, extremely portable and a perfect compliment to our Challenger or Discover Systems as a question or match timer. Split-second accuracy for any period from one second to sixty minutes. 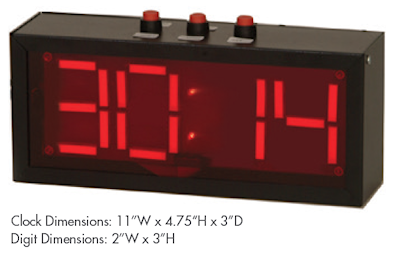 A built-in buzzer automatically signals the end of the designated time period. 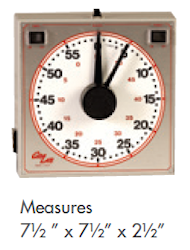 Separate second and minute hands also gives this unit the ability to be used as a stopwatch. The case is a plastic blend, designed to withstand high impact and resist moisture. 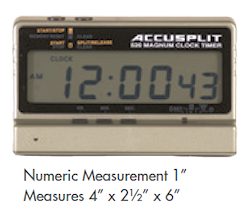 Measures 7½" x 7½" x 2½"
Compact (approximately 4" x 2½" x 6") Numeric Measurement 1"
Teach time management skills on an overhead projector or use as a timer, a clock or a chronometer. Same great features as the TeachTimer (see above), plus added self-projection, Qk-Set key, random number generator and more. Self-contained projection... no overhead projector needed!